« Arrrrr – It’s the Pirates’ House! Located just east of Savannah on a quiet bluff overlooking the Wilmington River, sits the Bonaventure Cemetery, sacred icon of Savannah. Boneventure is probably most famous now for the image of it on the cover of John Berendt’s book, “Midnight in the Garden of Good and Evil.” The cover showed the now-famous “Bird Girl” statue, whose new-found fame forced it to be moved to the Telfair Museum of Art for safe keeping – but Bonaventure Cemetery has more to it than just an appearance on a popular book cover. This historic, Savannah cemetery was established in the late 1700’s on the Boneventure plantation of the Mullrynes and Tattnalls. Boneventure means “good fortune” in French and was used to describe the entire plantation – not just the cemetery. 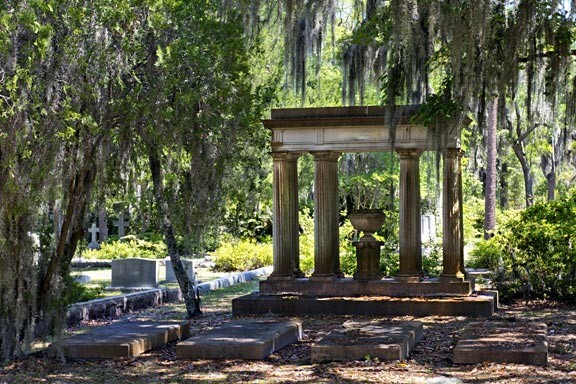 Though Bonaventure Cemetery started as a small, family plot, it was not fated to remain so. Both Mullryne and Tattnall decided to stand with King George III during the revolution, and so lost their land during the war. The plantation was purchased at auction by patriot John Habersham and then served as landing site, camp, and hospital for French and Haitian troops during the siege of Savannah – undoubtedly some of the less fortunate of the troops rest here still. Tattnall repurchased Boneventure back from Habersham in 1788 and was eventually buried here along with his wife and 9 children. Boneventure stayed in the Tattnall family until being sold in 1846 and, in 1847, the new owner incorporated 70 acres into a public burial ground: the Evergreen Cemetery of Bonaventure. Evergreen Cemetery was eventually purchased by the City of Savannah and, in 1907, it became Bonaventure Cemetery. Almost 100 years later it was placed on the National Registry of Historic Places, while still an active cemetery. Beyond all the old, graceful trees draped with Spanish moss and beautiful, historic markers depicting angels, columns, and other gothic forms, there are sections devoted to war veterans, different religious faiths, and group burials, such as the Confederate Jeff Davis Legion Mississippi Cavalry, veterans of the Spanish-American War of 1898, and a headstone dedicated to victims of the Holocaust. Poet Conrad Aiken burial place is here, along with Georgia’s first governor, Edward Telfair, and Academy Award-winning lyricist Johnny Mercer. Walking tours of historic Bonaventure Cemetery are offered year-round on the second Sunday of each month. A typical tour lasts from one to two hours. For a more spooky, rollicking time, check out a Bonaventure Cemetery After Hours tour. 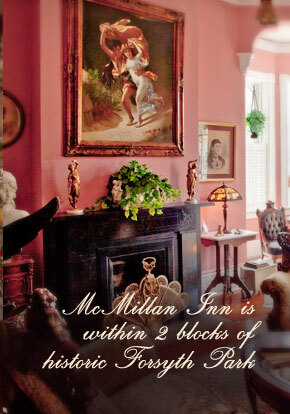 McMillan Inn is the perfect place to stay for a trip exploring Savannah’s history. 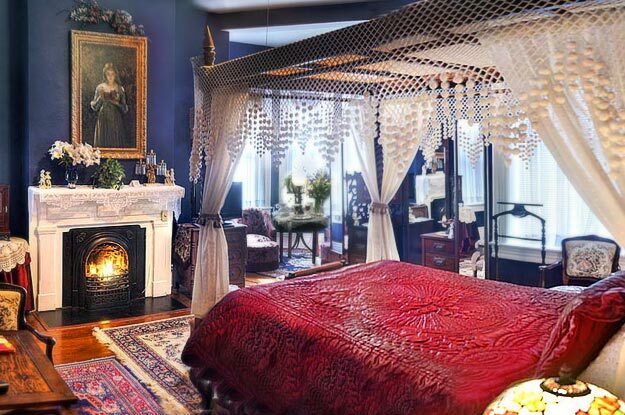 Our 1888, Italianate Revival building has been lovingly restored and echoes with the footsteps of history. We look forward to sharing the beauty of Savannah’s past and present with you!